GetUp therefore thinks it is OK to misrepresent the facts about emissions growth in Australia. GetUp seems intent on a Monty Pythonesque "Ridding the world of all known diseases" strategy in dealing with climate change. GetUp knows Australia has roughly the highest emissions per capita of any country and also knows Australia has had a population growth rate of roughly 4 times the OECD country average. GetUp also knows the rate of population growth in places like Melbourne and Queensland has been around 2.5% per annum in recent years. GetUp wants to save the Barrier Reef but also wants Queensland population and coal exports to double every 20-30 years? Government profit seeking drives extreme coal exports. That is arguably driven, in part, by the immediate negative financial impacts of extreme population growth. GetUp knows that Australia's population growth is only exceeded by some of the most underdeveloped regions of Africa; which are subject to chaotically extreme birth rates. GetUp is seeking donations to fund its unscientific campaign to magically transform one of the world's most rapidly expanding and extreme carbon based economies by adopting Renewable Energy Targets and other forms of financial incentives to encourage use of alternative energy, while fully supporting the extreme population growth that is the driving force behind the rapid expansion of Australia's carbon emissions. GetUp understands that without addressing population growth stabilising emissions in the short to medium term in Australia and globally will be virtually impossible. GetUp is seeking to collect money for its "population disabled" climate action campaign despite being fully aware of the facts, by deliberately omitting reference to the primary driving force behind Australian emissions growth. This is arguably fraud. Is there any justifiable excuse for seeking these donations under false, albeit ideologically driven, pretences? You can't effectively address the emissions issue without addressing one of the primary causes of emissions growth. Because there is also overwhelming evidence that extreme population growth in Australia is damaging the economy (ref. Joe Hockey's recent reduction of $7.5 billion from foreign aid), is GetUp directly supporting crimes against humanity in the developing world? It seems to me that all the evidence supports the conclusion that GetUp is guilty of seeking money under false pretences and crimes against humanity and the environment. 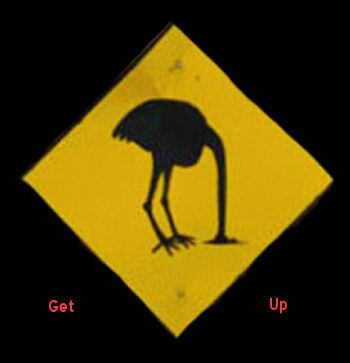 Get-up will be ineffective and barking up a tree without addressing our population growth! Any efforts towards saving fossil fuels and a transition to renewable energy will be negated by having our population pumped by our excessive immigration rates! With cities growing taller, and more people in towers, they will be relying more and more on air conditioners and power. Lifestyles are becoming more energy intense. So, it's not just pure numbers of people increasing, but more energy usage. Gut-up and any climate change group need to have a population policy to match their objectives. They can't be formulated in a vacuum, or through pretence. If our greenhouse gas emission are to be reduced, to avert the worse of climate change, the IPAT equation can't be ignored. Any activism and action must be cogent, and scientifically based, and have more than a "feel good" aim. The Age reports that the Napthine government has been accused of systematically destroying renewable energy as green groups prepare for a ground offensive targeting key electorates ahead of the November 29 election. A report by Environment Victoria claims the government has made 25 attacks on clean energy, including "extreme" restrictions on wind farms, removing the 20 per cent emissions reduction target from the Climate Change Act, cutting and restricting the solar feed-in tariff, scrapping a commitment to replace street lights with energy efficient light bulbs, cancelling the solar hot water rebate and opposing the carbon tax. The Napthine government has been hijacked by property developers and their plan for "Big Victoria", and commitment to Plan Melbourne of a city of 8 to 10 million people by 2050! It's a property developers' bonanza, of freedom to use our city as a profit-making resource, backed by high population growth. Like Get-up, Environment Victoria are also failing to address population growth. Polling consistently shows that 4 out of 5 Victorians want more renewable energy, and energy efficiency measures have almost universal support amongst Victorians. Trying to scale up renewable energy targets to keep up with our runaway population growth is adding to the impossibility of the task! The Napthine government is conceding that reducing greenhouse gases is contrary to their overall aim, of "growth", and their disassembly of any efforts to reduce greenhouse gases is consistent with their agenda. However, Get-up and Environment Victoria are being obstructive and intellectually dishonest. Michael continues to provide trenchant criticism of organisations and establishments which supposedly serve the people. One of the vexing questions on my mind is how to solve our problems, what solutions are necessary? It is in asking this question that you realise that the establishment of "The Left", which has been latching onto all the important causes, is holding us back. In taking over the environmentalist movement and social justice movement, these important causes have been transformed into political baseball bats used to beat political opponents into submission. I am NOT saying that everyone who has left wing ideas or leanings is like this, only that some are, enough to direct the political cause. True environmentalists must realise this and ditch the "help" that ideologically minded political activists offer. "The Right", which if we are to take it to mean the Hockeys, Mordochs and Abbotts, are well served by groups like Get Up, which serve their agenda of growth and dispossession and control over people. They do their work by conditioning people to accept mass immigration, which is just for the benefit of big business, and silence those who suggest a different social order (or simply a return to one of autonomy). None of this leads to reducing our carbon footprint, that requires revolutionalry thinking and to question our own values and assumptions.